Following on from my Tunis Cake a Great British Christmas Tradition blog at the weekend, I spotted an own brand Tunis Cake in Sainsbury’s tonight. 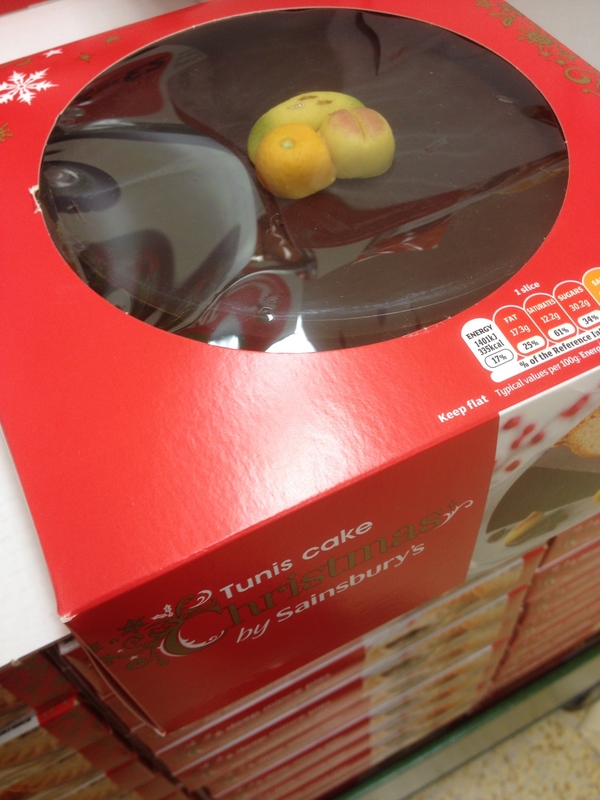 If you spot a Tunis Cake in the shops this Christmas do send me a picture and let me know where you found it. What ever happened to Tunis cake?